Firstly I would like to wish everyone reading this blog a fantastic Christmas and prosperous New Year!! Well its that time of the year when I can take some time off work and spend some time with the family (yes my bikes are included in the collective of family). This year we are not going away on holiday but instead we are staying at home for a few weeks. It has been a great few days already and I have managed to go for a few rides on my staycation - 300km this week so far. 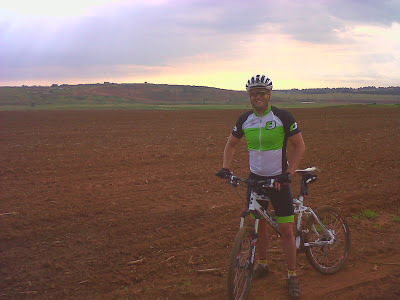 My first few rides were on my road bike as we have been having so much rain and I really wanted to avoid the mud. I was fortunate enough to join Clint and the CycleLink group of road bikers for 2 awesome days riding. The first one was from Benoni to Heidelberg and back, this was a brisk 95km route that was really enjoyable. 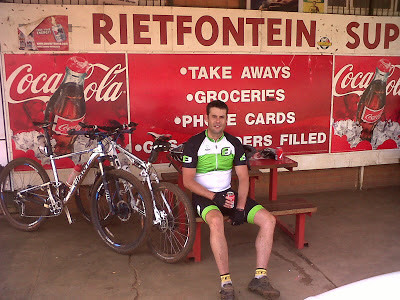 The second road ride was a different story, the plan was to ride from Benoni to Cresta but after blowing up on the first big hills I told Clint that I could make it to Cresta but was not sure I would make it back home. Clint being the awesome bloke he is, said we would turn around at ZooLake and he would ride back with me whilst the other 10 odd riders would carry on to Cresta. This was a hard ride, the hills really sapped what little energy I had and I finished the 83km with (851m ascent) at quite a slow average speed. 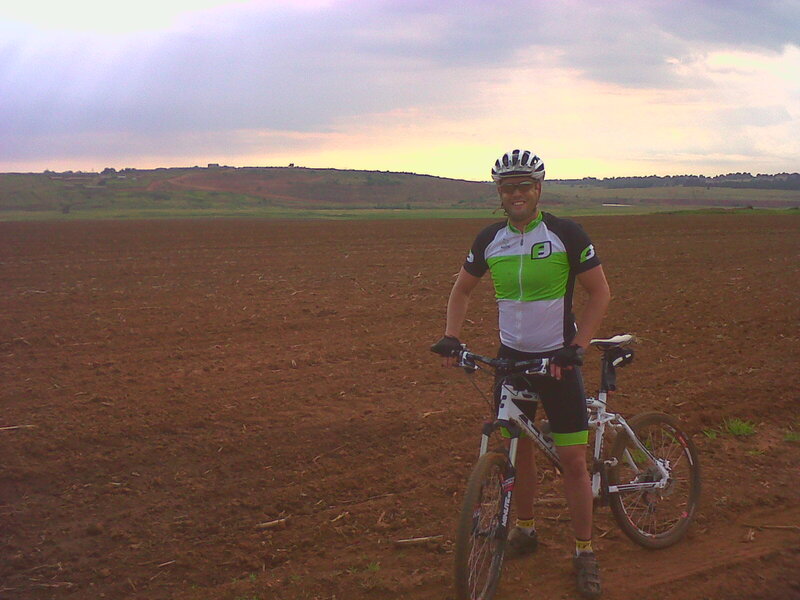 Today Marco and me went for a incredible mountain bike ride out in the farm lands. 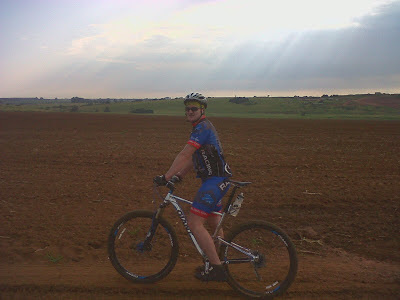 We avoided most of the mud and completed a nice 75km outride . The views were magnificent and the terrain was not too hard on us, so the pace was pretty good. Here's hoping for a few more rides like this one during the next 2 weeks.